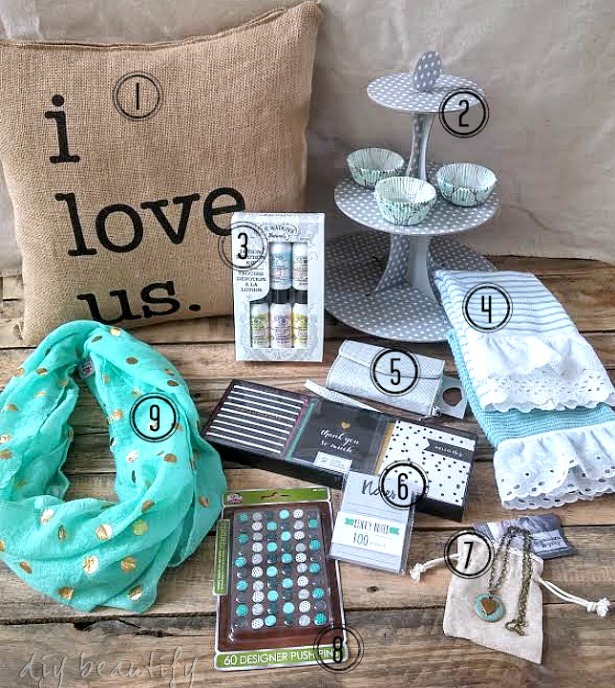 I am excited to be participating in this Favorite Things Giveaway! 10 of my fellow bloggers are participating! 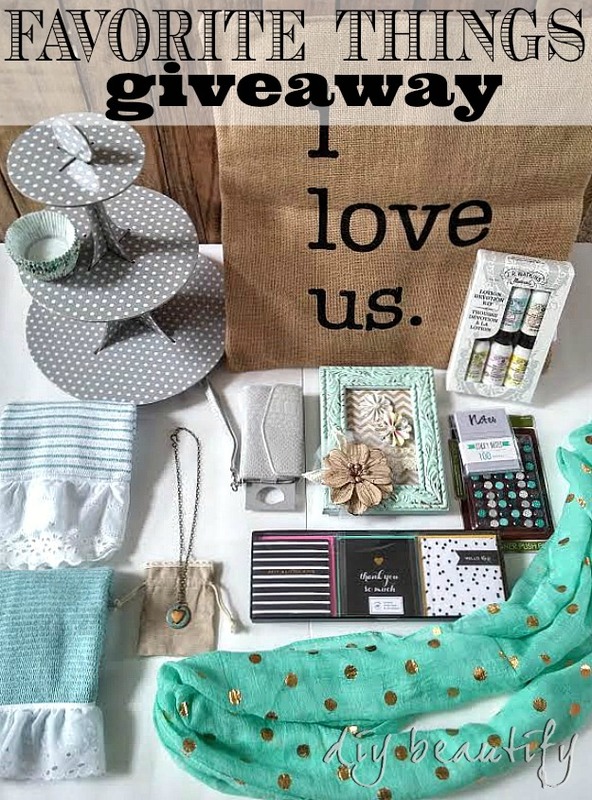 I am giving away a few of my Favorite Things. Let's take a closer look. 3. J.R. Watkins Lotion Devotion kit - I love anything by Watkins! This kit includes a peppermint foot lotion, as well as coconut, lemon, lavender and aloe & green tea lotion. These lotions are 99.02% natural, free from parabens and dyes and suitable for all skin types! 4. Two of my handmade kitchen towels in duck egg blue with eyelet trim. Use them as Easter napkins, fingertip towels or decorative kitchen towels. 5. Silver wristlet for quick trips to the store or a night out. Love these stylish little purses that hold all the essentials, including your phone! 7. 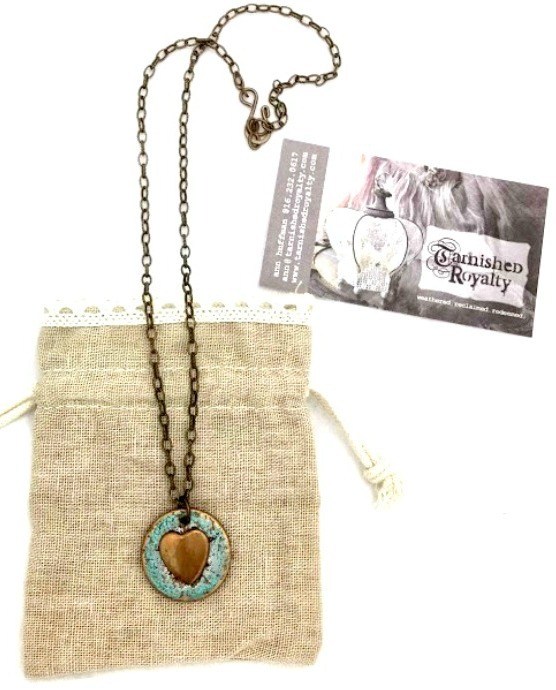 My sweet friend Ann from Tarnished Royalty sent me this custom heart and cork necklace that she made for this giveaway. Ann makes beautiful things from a beautiful heart. Her tagline...weathered. reclaimed. redeemed. is the perfect metaphor for our own lives as imperfect people who have been made beautiful by the love of Jesus! Ann has been gracious enough to offer readers of DIY beautify a special offer for the month of April. When you make a purchase at Tarnished Royalty during the month of April and use the code BEAUTIFY, you will save 20% on your entire order! Here is a closer look at the beautiful heart and cork necklace included in this giveaway. 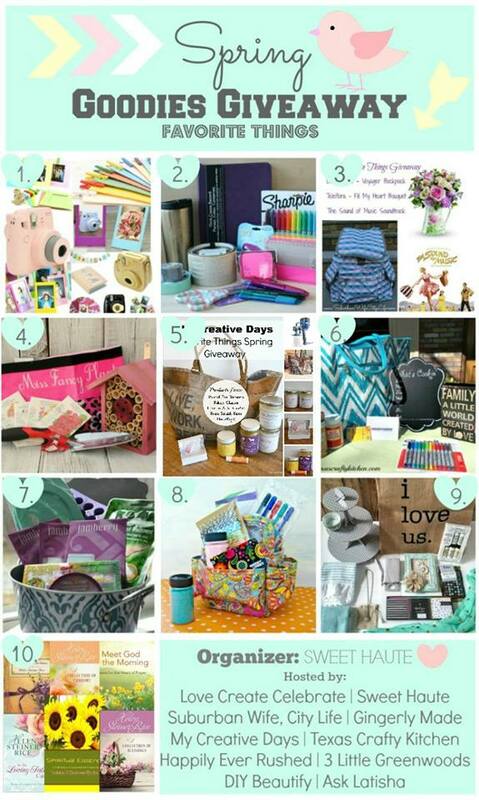 Now hop on over to these other blogs and enter their giveaways too! You have plenty of time, giveaway ends April 30. More chances to enter means more chances for you to win! Just click the links below the images.